Department of Art | Graphic Designer students with Work Study needed! 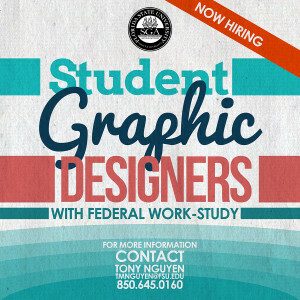 Home » Graphic Designer students with Work Study needed! Graphic Designer students with Work Study needed! You will be designing flyers and other printed materials for RSO’s on campus. Proficiency in Photoshop is a MUST, we primarily use this program for work. Experience with Illustrator and Indesign is preferred.